Sign up here to join the official mailing list for Mark Nureddine, get access to the mastermind and Quick Start! The next MasterMind Event is schedule for January 16, 2019 at 7a.m. PST. Send me my Quick Start and let me in! Mark Nureddine is a serial entrepreneur who’s started multiple businesses and who’s taken his latest startup to its 25th anniversary. Starting in his parents’ garage in 1992, he grew the company to an award-winning enterprise with more than 900 dealers around the world. 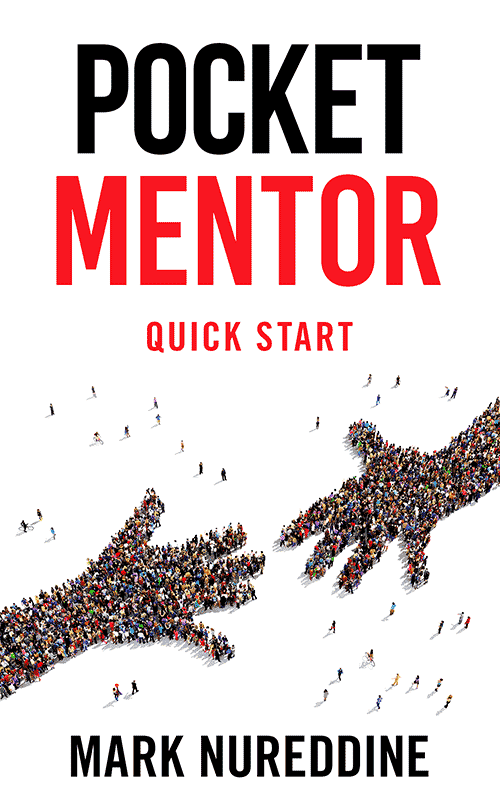 He’s often asked about the source of his success and about mentorship opportunities and Pocket Mentor together with the complimentary mastermind which accompanies it, is his answer.